Carnaroli rice is a high quality superfine rice. The exceptional compactness of its large and long grains with a tiny central white core (known as “perla”) combined with the excellent balance between liquid binding and low starch release, make it “the king of the Italian rice”. 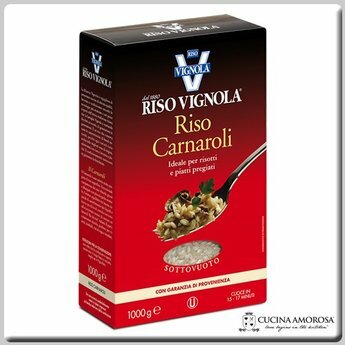 It’s ideal for every risotto recipe but it is also indicated for timbales, rice salads and tasty dishes.